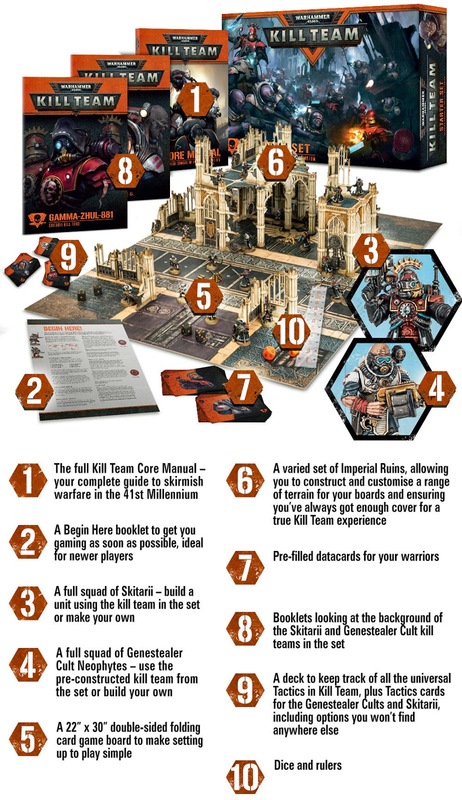 Mezmaron's Lair: Games Workshop Announces "Kill Team"
Today Games Workshop officially announced Kill Team, a skirmish game similar to the recent Shadow War: Armageddon and past iterations of Kill Team. This new Kill Team game is for two to four players and plays on a tight 22" by 30" board. Each player leads a squad of warriors, consisting of about five to ten individuals. 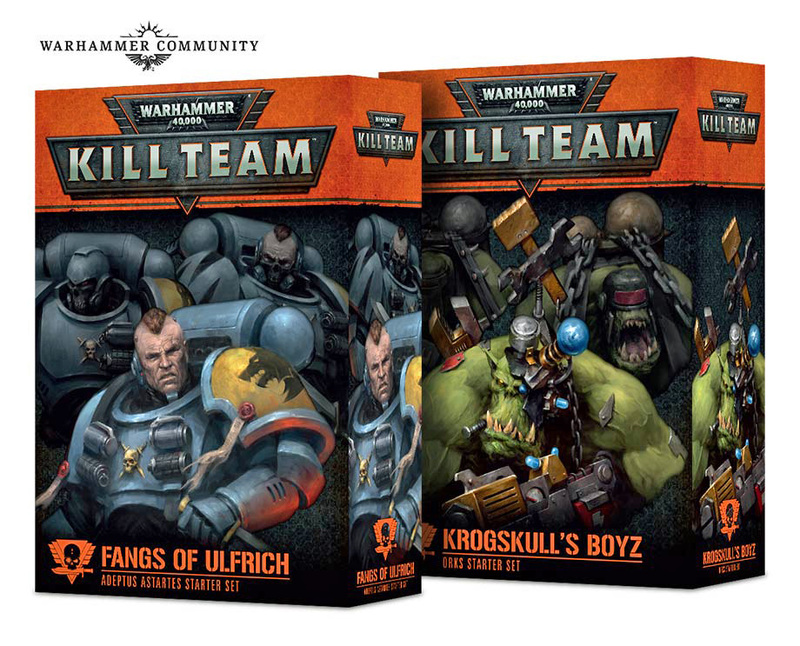 The Kill Team box set will contain two factions - a Genestealer Cult and Skitarii (the military forces of the Adeptus Mechanicus). Games Workshop also announced that additional, smaller Starter Sets for specific factions will be released, as well as new "Killzones" terrain set expansions. It appears that Games Workshop is taking the Shadespire expansion approach to Kill Team and it will have a number of future releases and support. There was mention of the Rogue Trader book in today's Kill Team Q&A. It appears now that Kill Team: Rogue Trader will be a supplement to Kill Team that introduces Rogue Traders into the game, along with some RPG-type elements.